Beautiful, spacious home located in a country setting on 15 acres. Home has outstanding curb appeal and offers, open concept living space with fireplace, hardwood floors, maple cabinets, recessed lighting, master bedroom suite and the most desirable sunroom filled with sunlight and finished with tile floors. Attached two-car garage with concrete driveway. Several outbuildings, terrific storage possibilities. 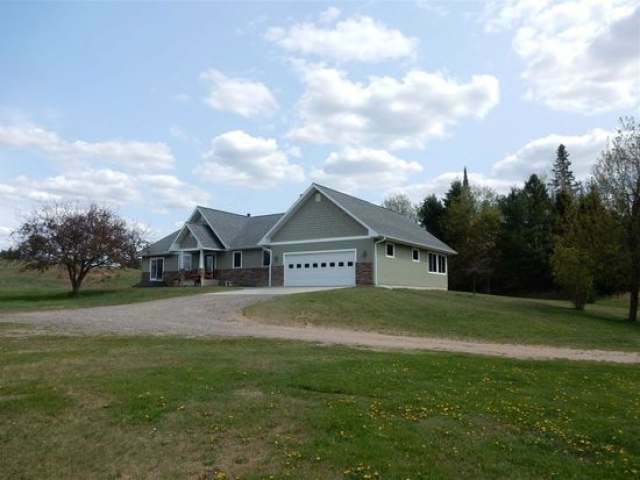 Additional acreage available: house with 55 acres @ $299, 900; house with 95 acres @ $349, 900. And more vacant acres available across road. Don&apos;t wait this home and property are an outstanding opportunity for country living at its finest.